Business description - Jhandewalas Foods is currently involved in manufacturing of ghee. It is also a manufacturer of mangodi on job work basis and the marketer of Poha, Saffron and Dalia. 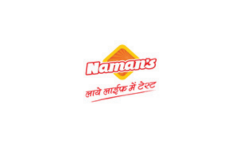 These products are marketed under its own brand name “Naman’s” and “Godhenu”. Currently, the company has a one manufacturing unit, located at Jaipur, Rajasthan. The unit is well equipped with machineries and other handling equipment to facilitate smooth manufacturing process. Along with this, the unit also has an in-house laboratory for testing the quality of products. As on date of the prospectus, the company has employed 84 employees (including skilled, semi-skilled and unskilled). Jhandewalas Foods IPO allotment status is now available on Bigshare Services' website. Click on this link to get allotment status. Jhandewala foods allotment done..Pls. tell listing date…i want to sell one application….Pls. interested person call me Mo. 8200418340…. Investors can check this link before investing. Good company and sound financials. Unlike other sme ipos, this is a good one. Profit is shown as 2.4 Crore for FY17. At PE of 7.22, company market cap will be 17.3 crore, but they are seeking an valuation of 56 crore. Please explain the gap. Is it for a short term or for a long term? Should we apply or avoid? How is JFL’s ipo ? Apply or avoid?